No, it’s not an alien colony, a time machine, or even a Russian version of America’s ionospheric HAARP program. 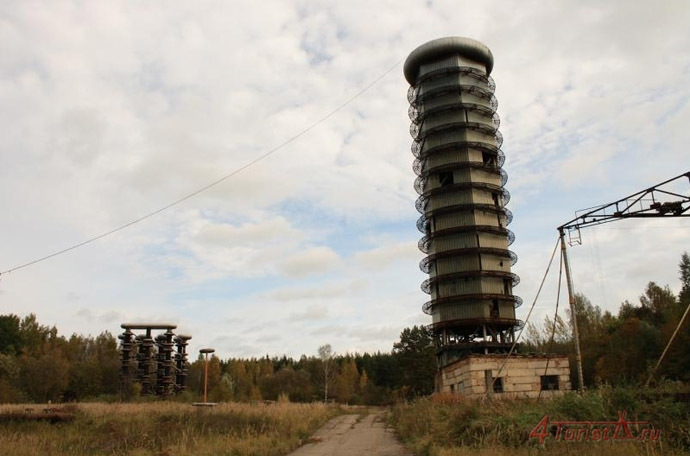 But in a forest near Moscow, this Soviet-era “lightning machine” has a capacity arguably equal to Russia’s entire electricity output. 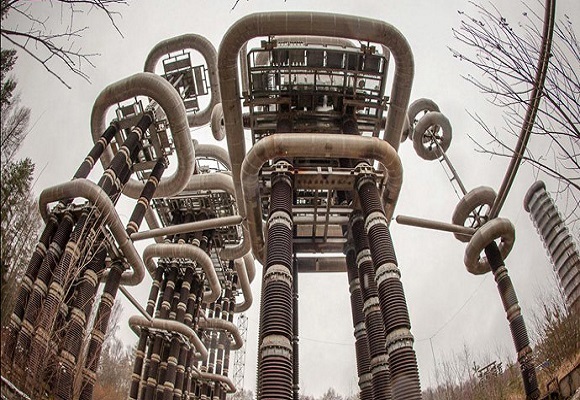 Bloggers flock to see this technical marvel, which has been dubbed the “High Voltage Marx and Tesla Generators Research Facility.” The testing range, a branch of the Russian Electrical Engineering Institute, is in the sleepy town of Istra, 40 kilometers west of Moscow. It is situated in a relatively small forest next to the New Jerusalem Monastery on the edge of town. 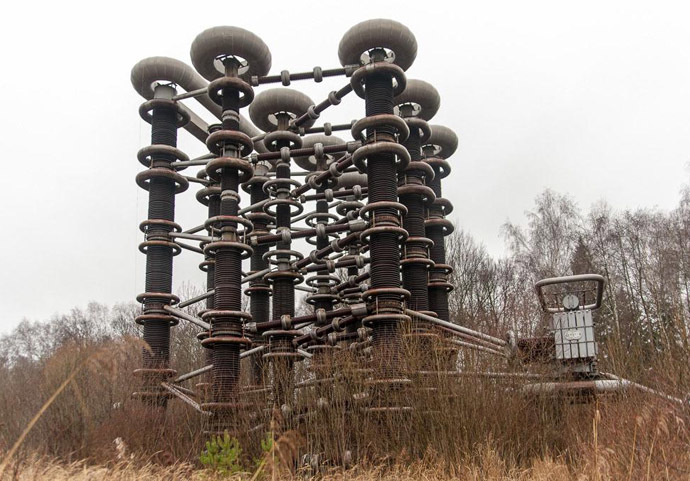 The secret, open-air, high-voltage testing device was constructed in the late 1970s for testing insulators to protect vehicles, aircrafts and electronic equipment against lightning. The facility is absolutely unique; nothing like it exists anywhere in the world, primarily because of its outstanding charge capacity. At its peak operating capacity the giant Marx generator, when lightning is discharged onto an isolated platform, has power equal to all power generation facilities in Russia – including thermoelectric, hydroelectric, nuclear, solar, and wind power stations combined. But only for about 100 microseconds, Rossiya-1 TV reported. The Marx Generator was named after German electrical engineer Erwin Otto Marx, who described it back in 1924. In Russia it’s known as the Arkadyev-Marx generator, as Russian physicist Vladimir Arkadyev and his co-worker, renowned scientific film director Nikolay Baklin, constructed a so-called “lightning machine” 10 years earlier, in 1914. The Istra “lightning machine,” unparalleled in its discharge capacity, consists of a 3 Megawatt capacity transformer cascade; a 9 Megawatt Pulsed Voltage Generator (PVG), measuring 39.3 meters high, capable of creating 150-meter artificial lightning, believed to be largest in the world; and a 2.25 Megawatt constant voltage unit. The test bench discharges a lightning of a desired capacity on a special heavily isolated platform, on which a device or a material being tested is placed. The platform is full of sensors showing how exactly the electric discharge affected the tested object. When the facility is operating, the static charge in the “hot zone” is so large that the hair of anyone present bristles. 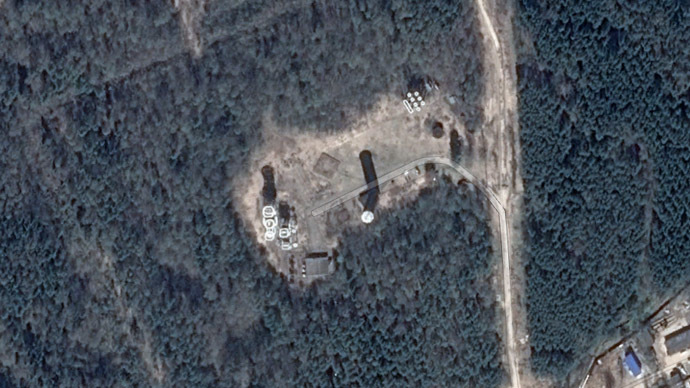 In a TV report made for Rossiya-1 TV, staff said that once a nosy observer intruded into the facility and entered the testing ground right in the middle of a experiment, when condensers were charged to the maximum. “God only knows how this guy remained alive and wasn’t struck by a discharge,” said Vladimir Sysoev, a leading research worker at the facility. Others say that lightning is still a matter for deep exploration, and that several trees burned to a crisp around the test bench serve as a reminder that lightning is very hard to control. The Istra research center has conducted many tests since Soviet times. Among the latest carried out were lightning protection tests for Russia’s Sukhoi Superjet aircraft. As the facility is really expensive to operate, it is only turned on for special occasions. 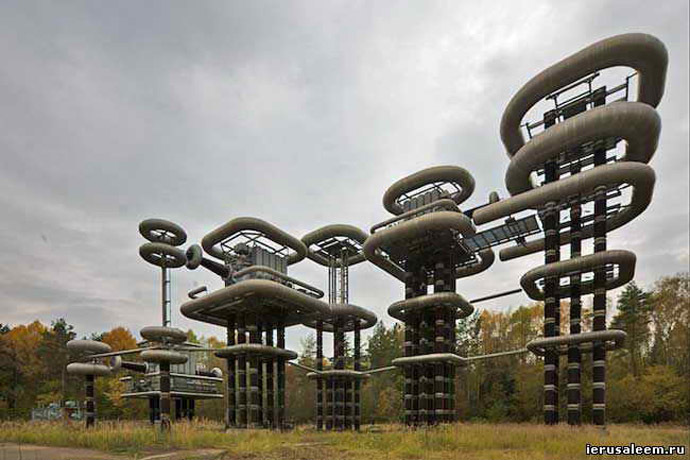 Unlike the famous High Frequency Active Auroral Research Program (HAARP) facility in the US, the Marx generator in Istra was never meant to modulate the weather, yet like HAARP it was involved in designing weapons for the future. Next to the research facility there is another test center, called “Allure.” It is a stationary simulator of the electromagnetic pulse (EMP) needed to test the sturdiness of military and civilian aviation hardware to impulse electromagnetic fields of a natural and artificial nature. An EMP created by a nuclear explosion is capable of terminally damaging electronic equipment, so the capability of creating an artificial EMP, particularly without exploding a nuclear device, is valuable in a military sense. That’s why an EMP weapon is a general’s dream in any country. The Allure complex was set to become a part of a grandiose scientific building, with a dome 118.4 meters high and 236.5 meters wide, but when the construction was nearly ready, the behemoth structure imploded, collapsing on the early morning of Jan. 25, 1985. The building was never reconstructed, though its circular base could be seen from space (coordinates 55° 55’ 8”N, +36° 49’ 7”E). Though the dome crumbled because of mistakes in its construction, the collapse had unintended historical consequences. The high-ranking Soviet Communist Party official in Moscow supervising the construction of the Istra dome was fired from his job and sent to a remote posting as punishment. He was replaced with fellow Communist apparatchik Boris Yeltsin, who was invited to work in Moscow and eventually became Russia’s first president. (S)ent to a remote posting as punishment? Translation : a gulag in Siberia.